LucasArts announced at today's Star Wars Spectacular panel new downloadable content for Star Wars: The Force Unleashed that will take players to Tatooine, meeting characters like Boba Fett and Obi-Wan Kenobi. It also revealed a new Ultimate Sith Edition re-release. The new content will have players once again assuming the role of the Secret Apprentice from The Force Unleashed, now serving the Emperor and tasked with eliminating the few remaining Jedi—Obi-Wan and Skywalker, for example—altering the established Star Wars story line further. The DLC's trailer posed the question "What if the dark side won?" The trailer showed scenes of Starkiller in his Sith Stalker armor, which players of The Force Unleashed will recognize if they chose to kill Darth Vader at the end of the original game's story line. Starkiller was featured in battles with Obi-Wan Kenobi, Luke Skywalker in the Hoth hangar base and Boba Fett at Jabba's Palace on Tatooine. LucasArts will also release Star Wars The Force Unleashed: Ultimate Sith Edition during the Holiday 2009 season, a special edition of the game for the Xbox 360 and PlayStation 3 featuring the original title and the already available downloadable content, plus an exclusive level on Hoth, where the confrontation between Starkiller and Skywalker takes place. 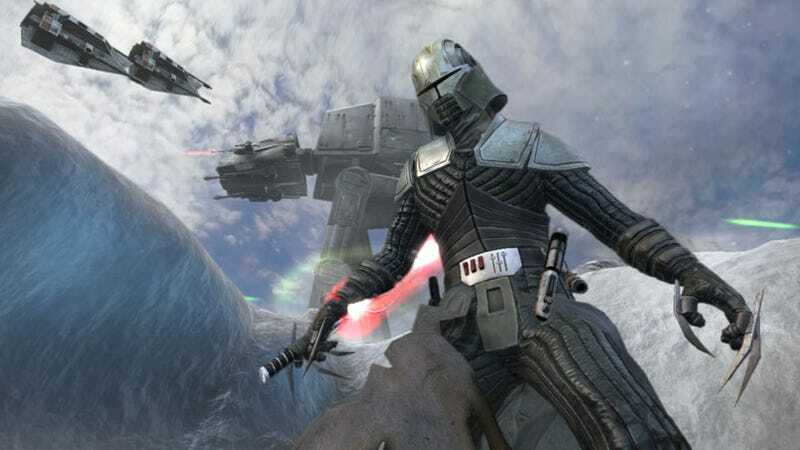 The publisher also has plans for PC and Mac versions of Star Wars: The Force Unleashed planned for later this year.